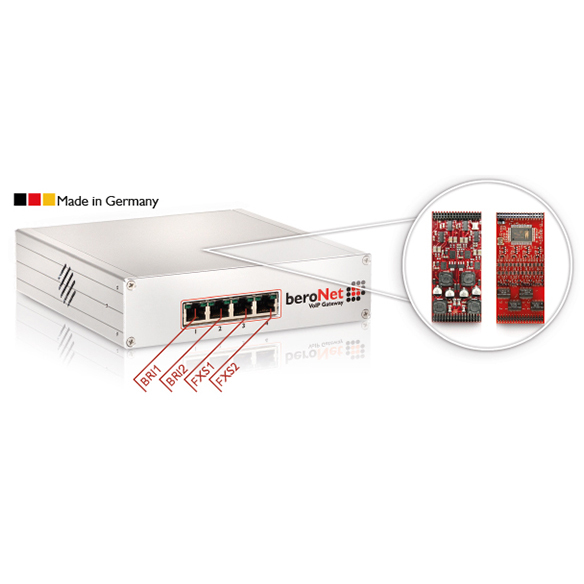 The beroNet FXS & BRI VoIP Gateway (BF4002S02FXSBox) contains 2 BRI (S0) and 2 FXS ports. 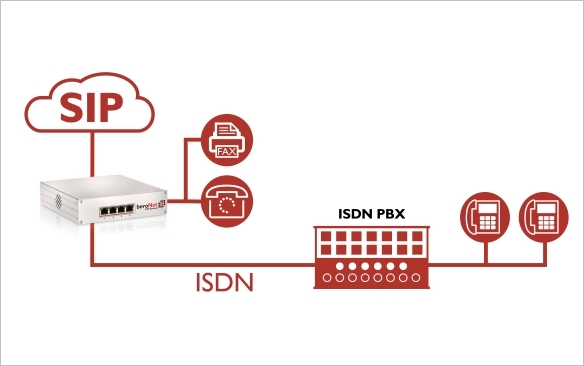 It connects SIP with ISDN and analog (FXS); ideal for connecting analog devices like telephone, Fax, alarm system, ec cash and modems. The switching of TE or NT mode as well as the terminating resistors for each port is done JumperFree using the beroNet Web GUI. 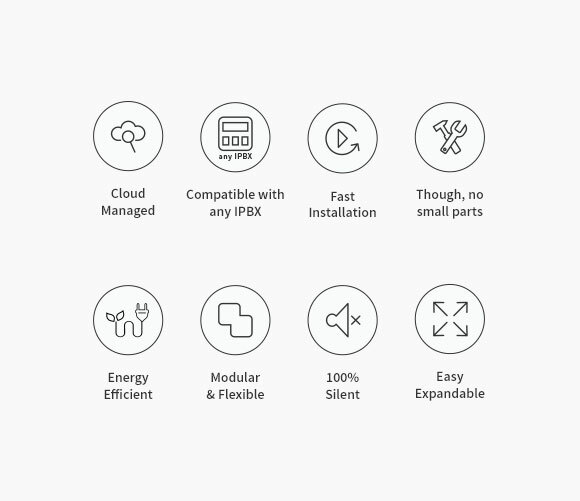 A fax server can also be connected with a virtual CAPI.